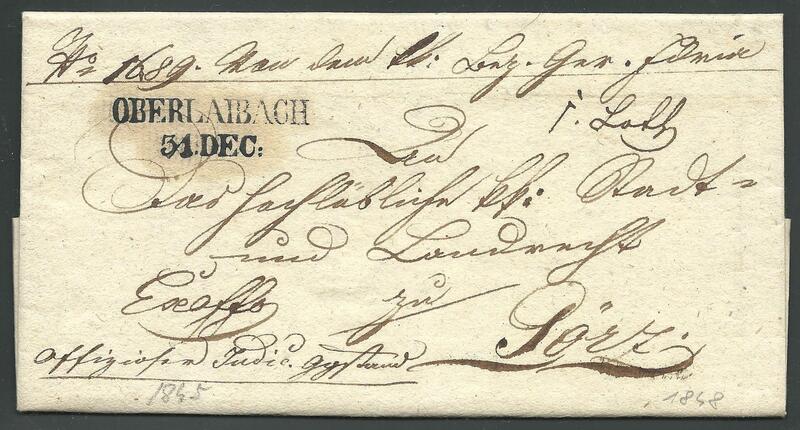 ,,Complete prephilatelic letter, sent from Vrhnika (Oberlaibach, December 31, 1844, Mü. 1035.b.) to Gorica (1. Jan.), superb quality.